The doctors and staff at New Castle Associates in Podiatry are dedicated to providing the finest comprehensive foot and ankle care to you and your family. We provide quality individualized care to our patients using up-to-date, proven technologies in a modern podiatric facility. Our doctors provide complete foot and ankle care. We specialize in sports injuries, bunions, hammer toes, heel pain, orthotics, diabetic foot care, wound care, ingrown toenails, neuroma, foot and ankle sprains, stress fractures, bone spurs, tendonitis, children's adolescent foot problems, and many more lower extremity conditions. Please visit all of the pages of our website to learn more about our doctors and what we do. You will find it educational and helpful to understand you or your family member's foot and ankle problem. We thank you for your interest and hope you will consider us to be a part of your healing process. 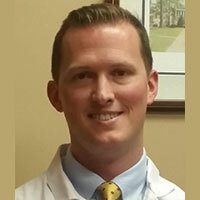 Dr. Denenberg attended McDaniel college from 2001-2005 for his undergraduate training. He majored in biology and minored in art history. His Podiatry training was at Kent University College of Podiatric Medicine from 2005-2009. 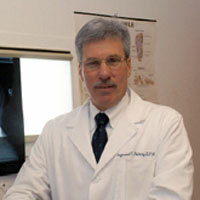 Dr. Denenberg is board certified by the American College of Foot and Ankle Surgeons. A Delaware native, educated at both Tower Hill, and Salesianum Schools, Dr. Larned spent four years in the U.S. Marine Corps, where he served as a squad leader. He later attended the University of Delaware, where he studied foreign languages while completing his pre-medical courses. Dr. Larned is board qualified by the American College of Foot and Ankle Surgeons. Motivated by the “Running Boom” of the 1970’s, Dr. Ray Feehery has dedicated the past 30 years to the study of the biomechanics of running, and the prevention and treatment of injuries. Starting at Penn State University in 1976, he earned his M.S. in Biomechanics under the direction of Dr. Peter Cavanagh, one of the top biomechanists in the world. 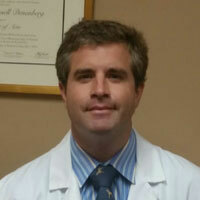 Dr. Feehery is board certified by the American College of Foot and Ankle Surgeons.